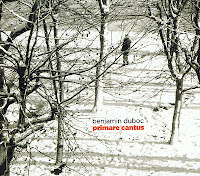 French bass-player Benjamin Duboc has been reviewed quite extensively on this blog in the past few years, and rightly so, with the quintet "Afterfall", the quartet "Nuts"the piano trio "Free Unfold", the sax trio "Les Fées Du Rhin", the trumpet-bass duo with Itaru Oki, and now, he released his first album under his own name, and what an album. It is a box set with three CDs, the first one a solo bass improvisation of fourty-two minutes, but not of the kind you would expect. Duboc plays primarily on the tail-end of his bass, combining bowing and pizzi, resulting in a mesmerising repetitive sound, over which the loose strings are strummed. Intensity and finesse are the words that best describe the endless shifts in tone shading and coloring. The second CD starts beautifully, with Jean-Luc Petit on baritone and tenor saxophones, playing three stupefying improvisations with shimmering nebulous sounds coming from both instruments. This exceptional power is continued in three pieces with Didier Lasserre on snare drum and cymbal, equally minimal and intense, with percussion and bass creating and embracing sounds you will have rarely heard from this sober line-up. 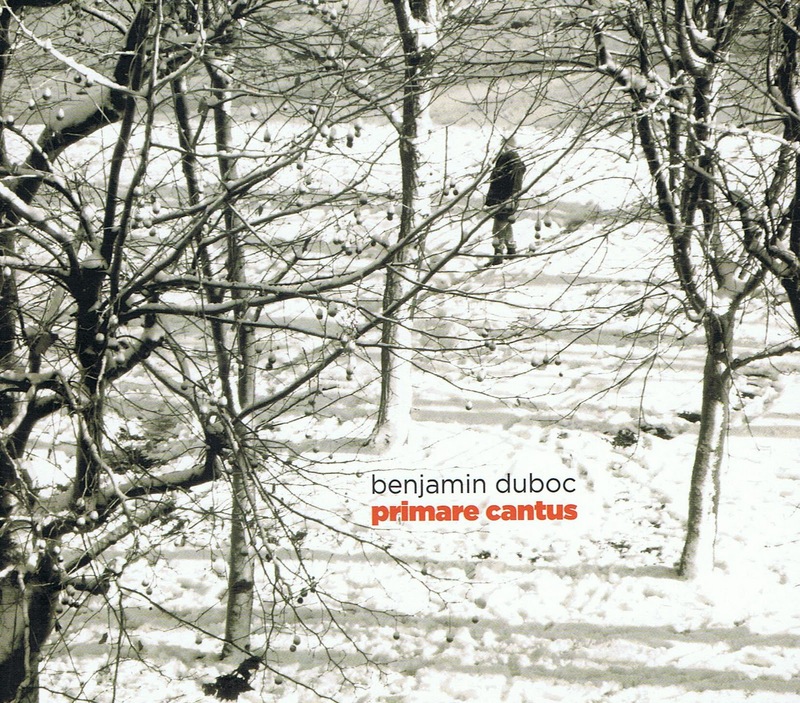 On the last three tracks, Duboc plays duets with tenorist Sylvain Guérineau resulting in quite different, more abstract and voiced sonic environment, in which suddenly the tension of monotony is broken. The third CD starts with bass in duo with Pascal Battus on "guitar pickup", creating a slowly moving deep-sounding minimalist environment, full of monotal shifting intensity, and the weird electronics coming from the guitar. The second piece is solo bass - I assume - and is little more than white noise, as an interlude before the weird frenzy of the closing piano trio starts, with Sophie Agnel on piano and Christian Pruvost on trumpet, first loud and dissonant, then moving to the barely audible with the trumpet sounds nothing more than physically intense blowing with minimal release, then Agnel takes over with scratching strings gradually leaving more room for voiced keys, supported by the deep hypnotic repetitive tones of the bass, and near the end, the incredible tension builds up for a terrifying doomsday finale. This album is fantastic for many reasons. First, it brings together some of France's most explorative and skilled musicians. Second, it shows how jazz has found its way in a more modern artistry, one that is inventive and leaves a deep emotional imprint in the listener's brain. You want to listen to some parts again and again, and you look at the album lying there in full anticipation of the next listen. Third, the quality of it all is superb. Even if it shows the new way, it is for sure among the best of it. The album's only downside is it's aspect of being a collection of various parts, put together quite skillfully and with its own logic and listening sequence, evolving from solo to over duo to trio, from slow monotony to a paroxysm of sound at the end. In any case, this CD box comes as highly recommended for listeners with open ears, and without a doubt it contains some of the best things I've heard this year. Thanks for sharing such a nice information with us it is quite cool .